iPad Watch. iOS wearables are here. We can’t say where we got it from, but we got to try out a prototype of the new iPad watch. 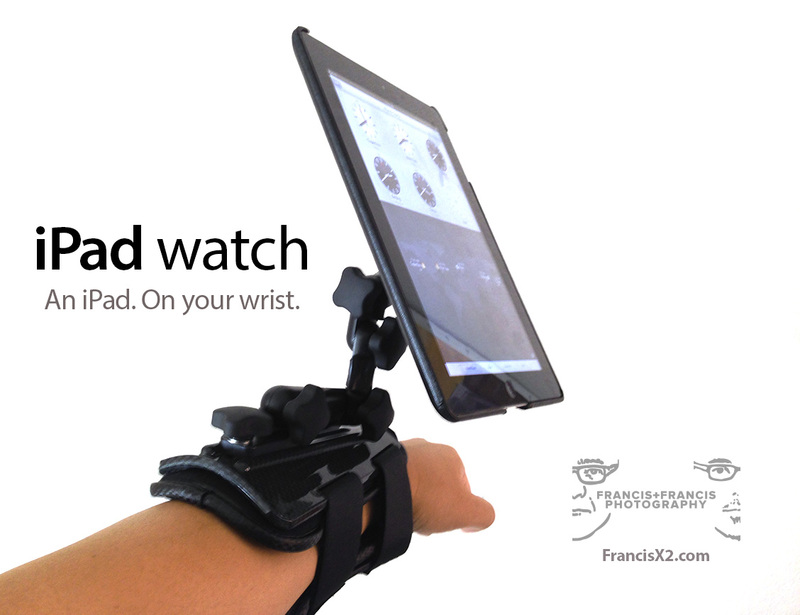 It’s as slim and beautiful as the New iPad with Retina Display, but now attaches to your wrist. What’s great about it is it has all the functionality of an iPad. No dumbed down OS. No syncing with any another device to work. And the battery life is just a good as the current iPad models. Just slip it on and go!